In the Heavener School of Business, we strongly encourage and support our students’ efforts to study abroad. International studies serve to enhance not only the students’ professional experiences, but their personal ones as well. In conjunction with the University of Florida International Center (UFIC), Heavener works closely with students, aiding them throughout their planning process and upon their return. Heavener students have the option of studying abroad on a UF program or on an international exchange. Deadlines vary: Limited spaces available, please apply early. Heavener requires students be in good academic standing and have a 2.5 overall UF GPA to apply for study abroad in College and UF programs. Participation in Warrington exchange programs requires a minimum 3.0 overall UF GPA. Heavener students may take core, major, upper division business electives, and business minor requirements exclusively at approved University of Florida and Warrington College of Business exchange partners and Heavener International Programs affiliates. Transfer credits are posted without a course number and are applied to the other courses category in the degree audit, unless pre-approved as equivalent to a UF course by a non-business UF department, such as the Spanish department. The College will not approve students for study abroad if they are not making appropriate progress in their universal tracking requirements. Additionally, students will not be eligible to study abroad if they are on or have failed College probation. Undergraduate students may study abroad for a maximum of two semesters (fall and spring, or academic year.) Students may petition the College for permission to study abroad for a third semester if the semester is a summer term or an international internship. The student’s previous performance abroad can be a significant factor in this petition process. Does the Heavener School of Business have its own study abroad programs? Yes, the School has study abroad programs in London, Madrid, Rome, Paris, and Dublin. These programs allow students to take required and elective UF online business courses while abroad. In addition, Heavener also has many study abroad exchange programs. Do I need a specific GPA to study abroad? The Heavener School of Business requires you to be in good academic standing and have a 2.5 overall UF GPA to study abroad. Participation in Warrington exchange program requires a minimum 3.0 overall UF GPA. Heavener will not approve students for study abroad if they are not making appropriate progress in their universal tracking requirements. Additionally, students will not be eligible to study abroad if they are on or have failed College probation. Can I study abroad more than one semester? Undergraduate students may study abroad on an approved exchange or transfer program for a maximum of two semesters (fall and spring, or academic year.) Students may petition the Heavener School of Business for permission to study abroad for a third semester if the semester is a summer term or an international internship. The student’s previous performance abroad can be a significant factor in the petition process. 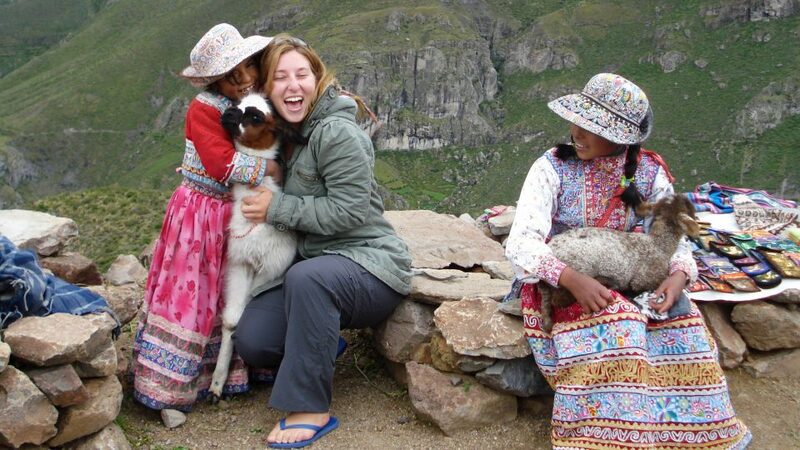 What’s the difference between a Heavener program and an exchange study abroad program? With Heavener programs, students pay a program fee which includes UF and partner tuition, housing, and other expenses. Credits earned via these programs will appear on the UF transcript, but the grades earned will NOT factor into the UF GPA (although they will factor into the core, major, and area of specialization GPA). Exchange agreements are reciprocal and students pay UF tuition. Exchanges grades are computed into the UF GPA. Will studying abroad count toward UF’s nine hour summer requirement? UF students who earn six or more credits through UF international, UF-exchange, or approved State University System (FSU, FIU, UNF, etc.) summer study-abroad programs satisfy the “nine-hour summer” requirement. Students going on approved study abroad programs can count those credits towards the summer residency requirement. Will studying abroad satisfy the internship requirement? The internship requirement can be waived for students who participate in a study abroad experience of at least six weeks; however, students who waive the requirement via study abroad are strongly encouraged to complete at least one internship to improve their chances of obtaining full-time employment and/or admission to graduate programs or law school. With very few exceptions, all the study abroad programs managed by Heavener are taught in English. Yes, you can apply Bright Futures, grants, loans, Florida Pre-Paid, and other awards toward your study abroad experience; however, you must be registered as a full-time student. For more information, see a study abroad financial aid advisor in S107 Criser Hall. Yes, both the Heavener School of Business and the UF International Center offer study abroad scholarships. Email for an appointment if we are not currently available. We encourage students to meet with International Programs advisors to develop a study abroad plan.